Advanced Gauging Technologies has shipped a new AGT400 upgrade to Harvard Coil Processing in Cleveland, Ohio. This upgrade will replace an outdated GR200 gauge and will be installed on a 76″ Braner slitting line that will measure various steel alloys up to .250″ thick. 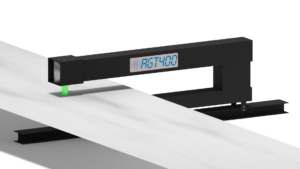 By replacing their outdated thickness gauge with a new AGT400 upgrade, Harvard Coil will be able to reduce downtime, improve efficiency as well as provide the most accurate and reliable non-contact thickness measurement available.